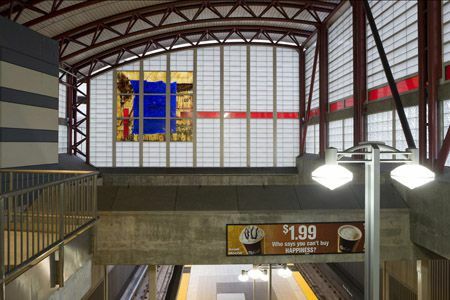 San Francisco’s Bay Area Rapid Transit (BART) crosses under the city’s famous bay, is 104 miles long, has 43 stations and serves four counties containing close to four million people. 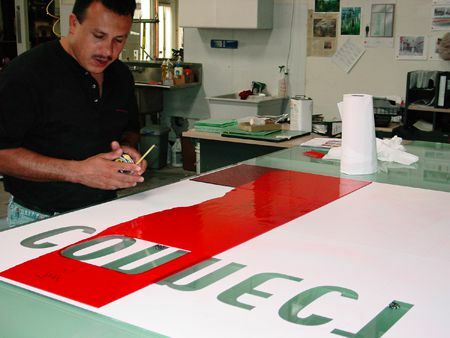 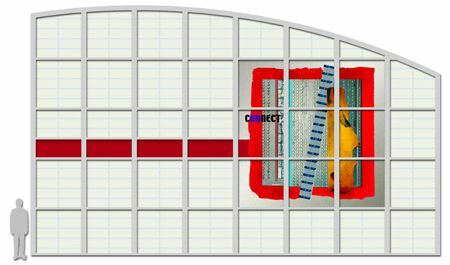 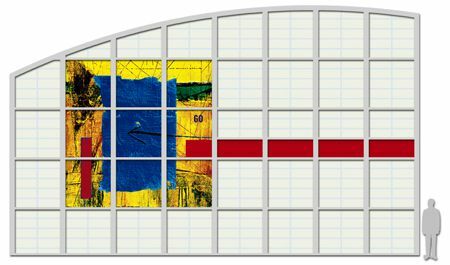 A coast-to-coast search awarded to artist Gordon Huether a commission for a 15- by 15-foot mural. 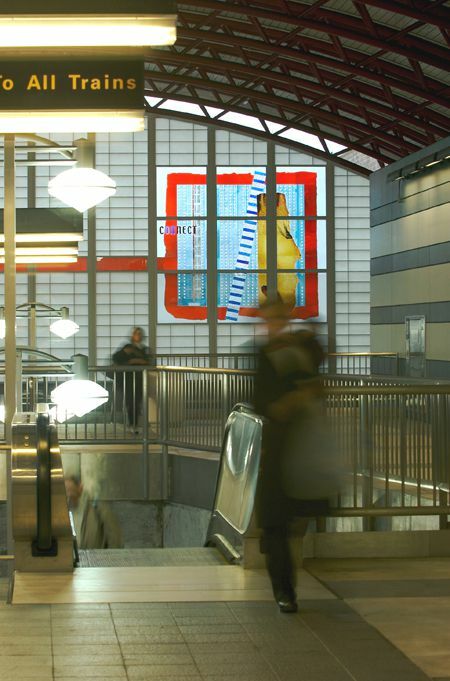 Referring to the building’s use as a transportation hub, the words go and connect appear in bold letters and vivid colors. 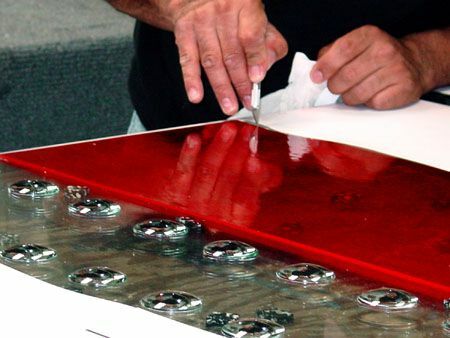 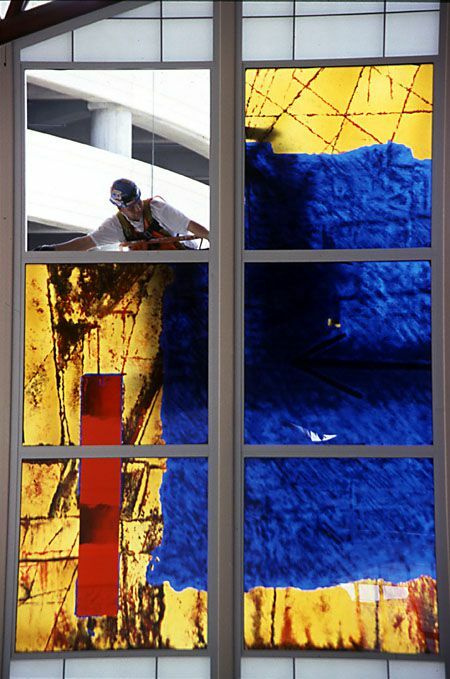 An organic part of the overall structure, the huge glass artwork is incorporated into 1,530 square feet of wall panel units. 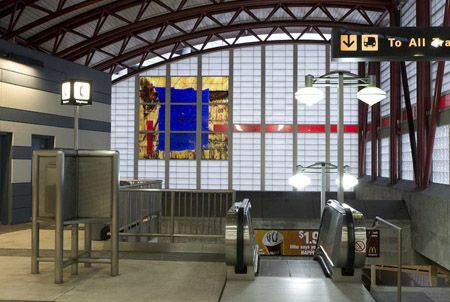 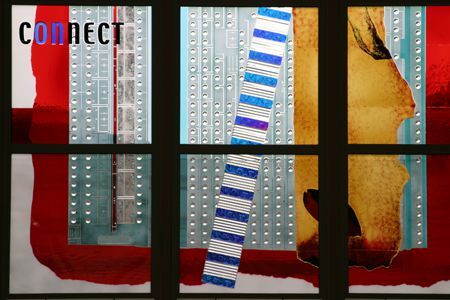 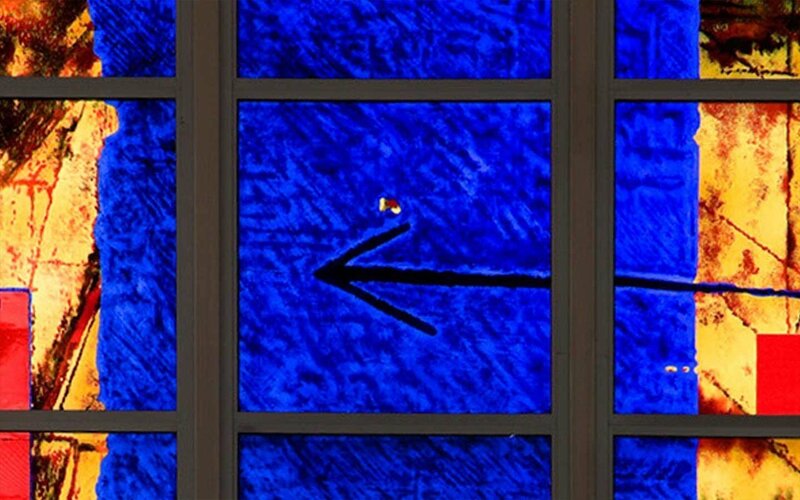 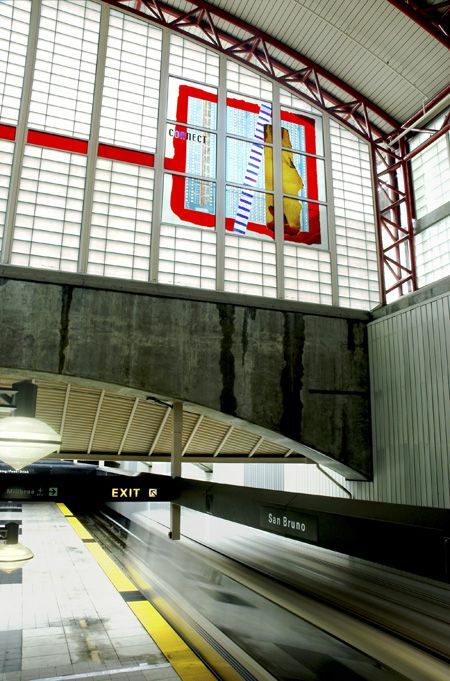 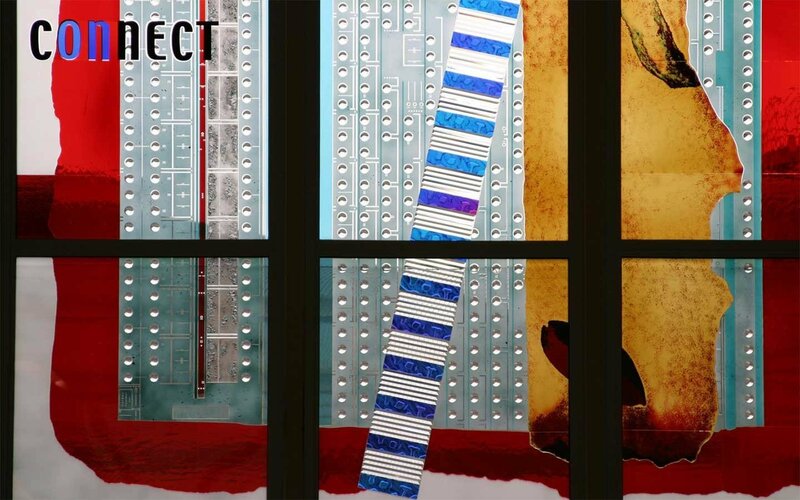 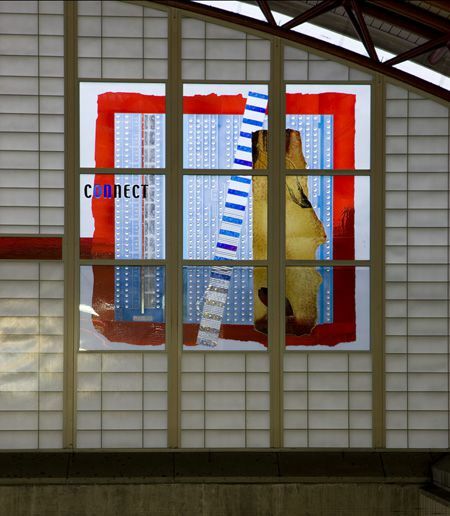 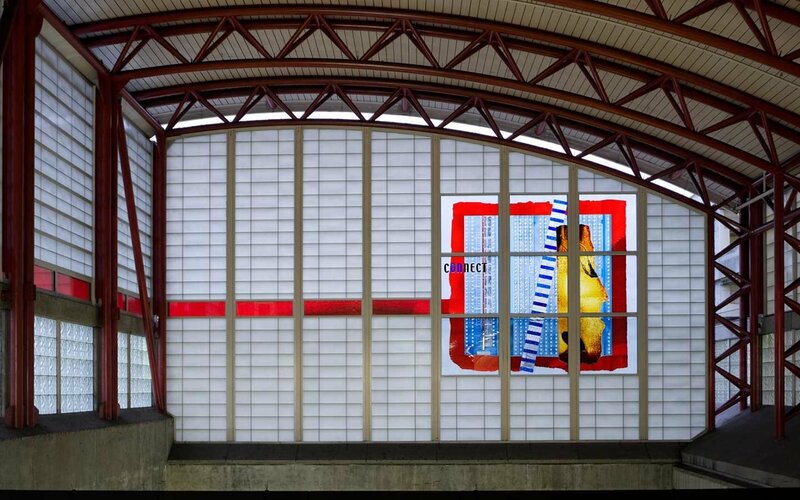 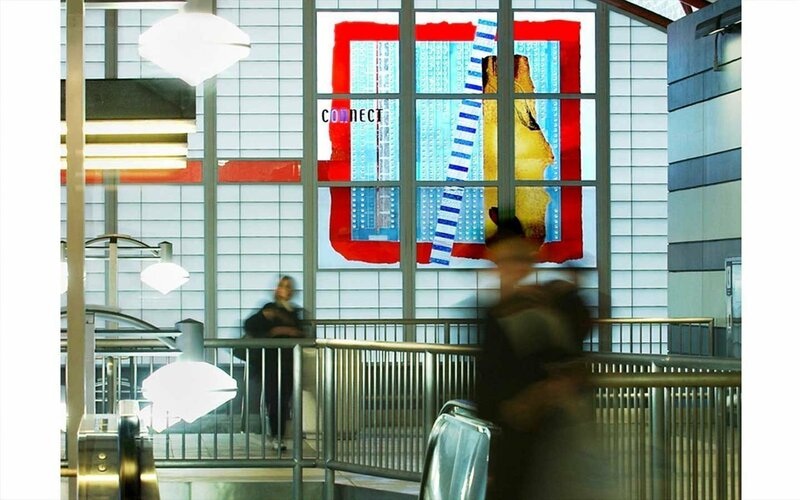 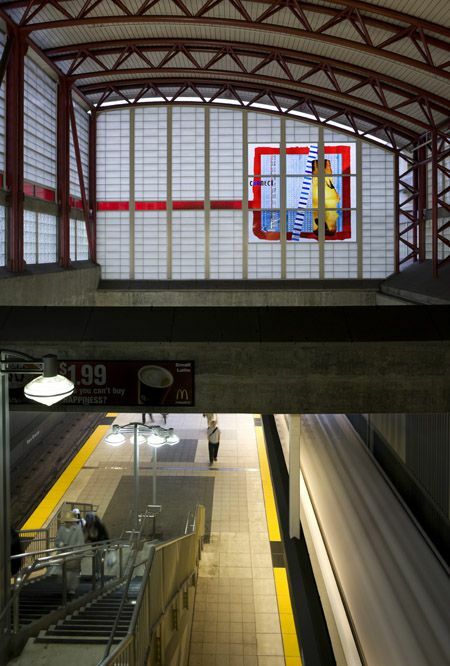 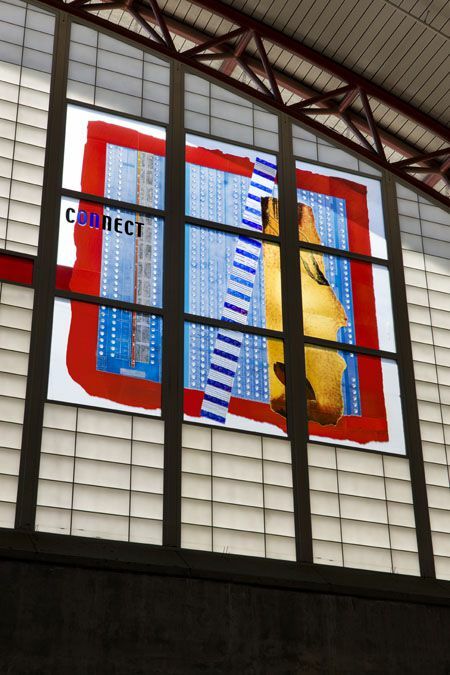 Huether used a variety of techniques, including etching, fusing and laminating to create an installation full of constant discovery for the people who pass through the station on a daily basis.